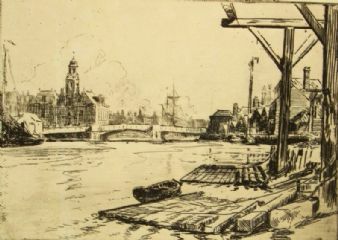 Charles Mayes Wigg; 1889-1969, English watercolourist and etcher, born Nottingham, raised in Watton and Cromer in Norfolk and was educated at Gresham's School, he studied at the Norwich School of Art and later studied with Frank Spenlove-Spenlove at his Yellow Door School of Art in Beckenham, Kent. Charles served with the British Army in the First World War and saw active service at Gaza. In 1916, he was invalided out of the army with leg injuries, and was left with a disability for the rest of his life. 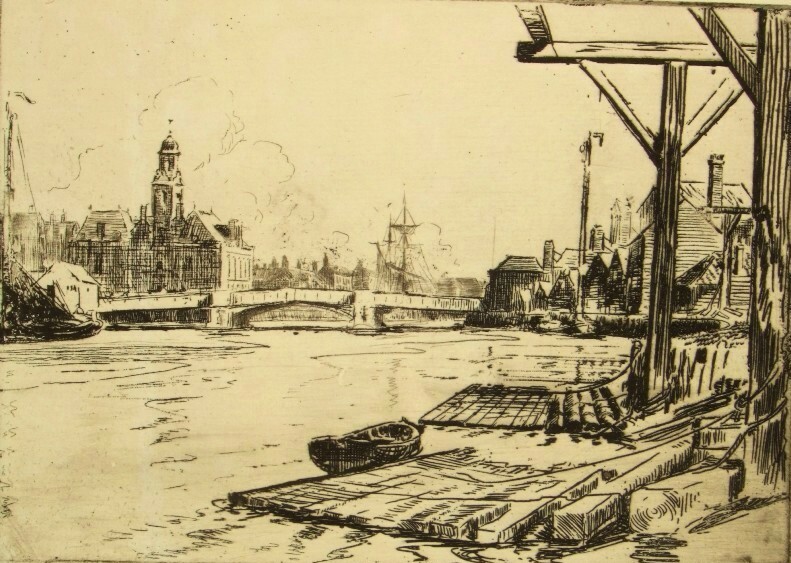 Returning to his career as an artist and illustrator, he subsequently found life afloat easier than life on land and for many years lived and painted in a house- boat on the Norfolk Broads. He also had studios at The Thatched House, Brundall, his parents' home, and at Rose Cottage, Barton Turf. After marrying, his new wife prevented him from painting, breaking his brushes and burning his paintings, making his artworks rare and very collectable. He later lived at East Hoathly, Sussex. 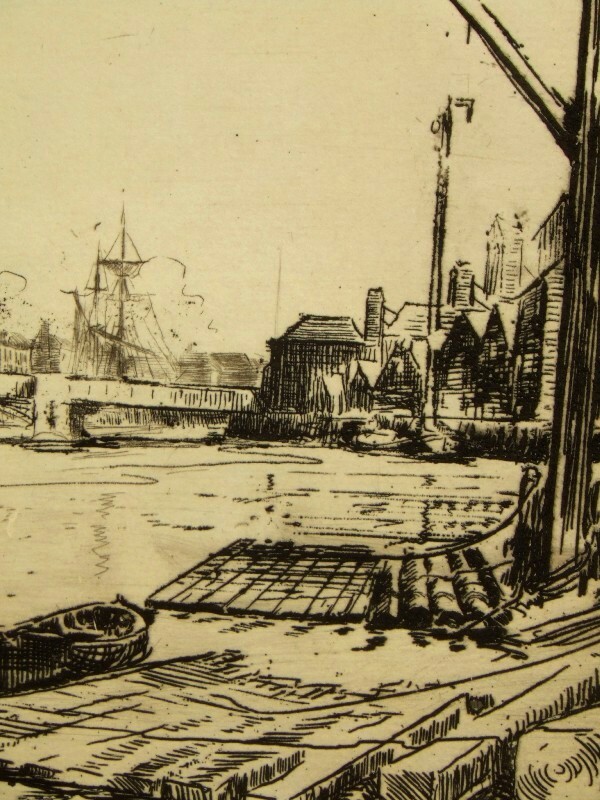 This fine etching has retained its excellent colouring, bright and unfaded, in black ink with very fine detail, ink lines and plate tone, the image measuring approximately 18 cms. x 13 cms. (7 x 5 ins. 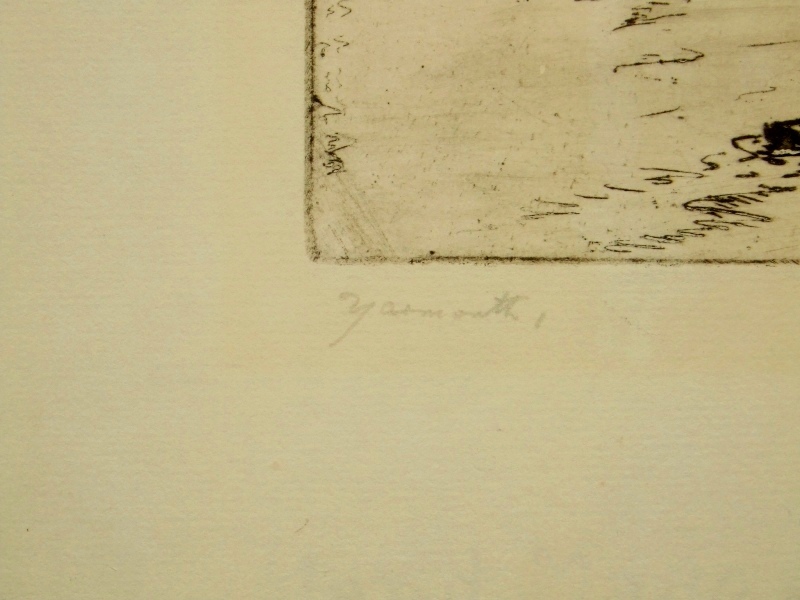 )within a fine but evident platemark and impression, on a laid paper sheet size 29 cms. x 23 cms. (11¼ x 9 ins.) with makers watermark. 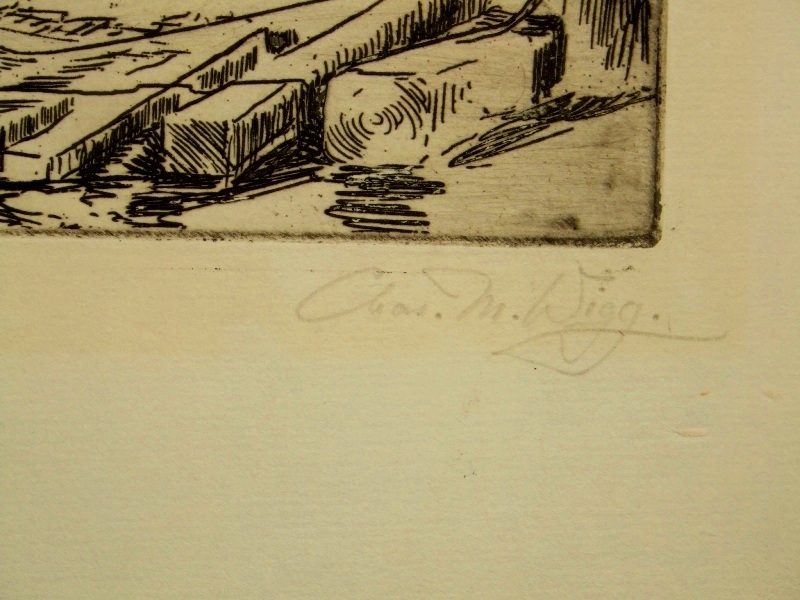 Signed and titled by the artist in pencil beneath the image. 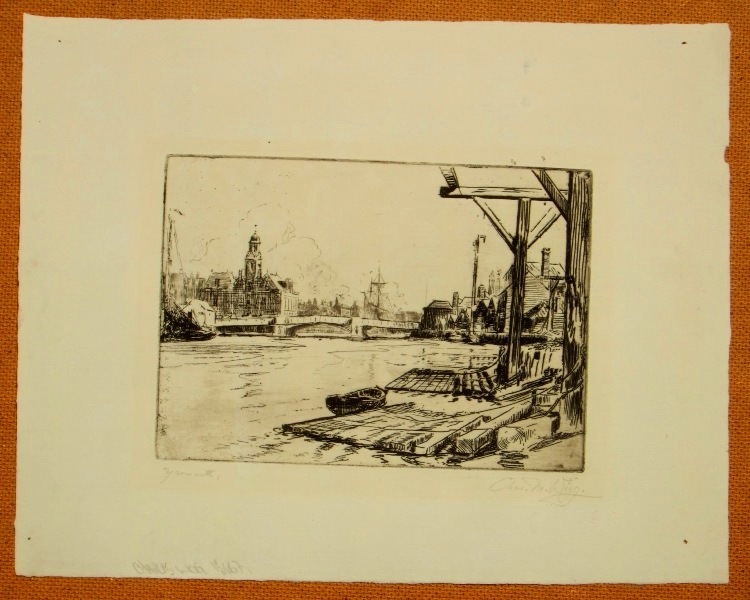 Unframed and unmounted, the condition of the image is excellent and the sheet is good with a light toning to a previous mat window.